What’s a small-town celebration without pie? Especially pie made by Presbyterian women to raise money to support the mission projects of Presbyterian Women, local, national and global. People wait all year to snag their favorites, and they don’t dawdle. 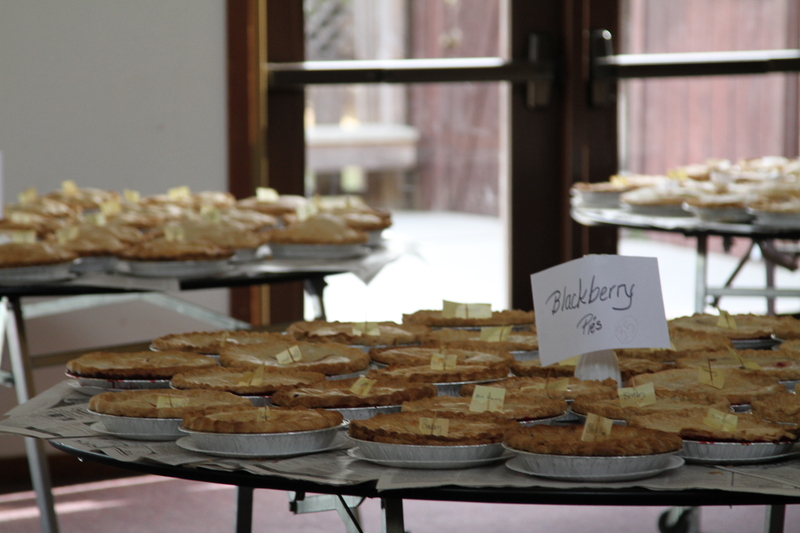 Pies are sold Saturday starting at 10 a.m. until sold out. Last year they sold out at the unbelievable time of noon!!!! Imagine -300 pies sold in 2 hours. The only thing I can suggest is to come early.